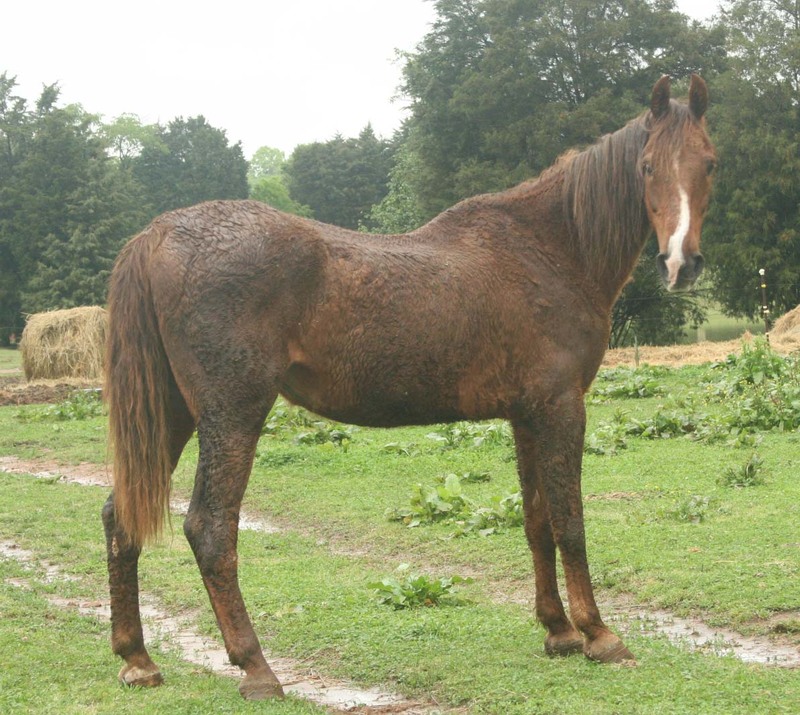 Rescued May 2, 2013 River is an 18-year-old American Saddlebred gelding that was seized by the Iredell County Animal Control. His former owners were charged with abuse. Animal Control often finds homes for the animals they seize but if they are older and in extremely poor condition they often call HPS and ask us to take the animals. River was rated a 2 on the Hennecke scale so we agreed to take him. 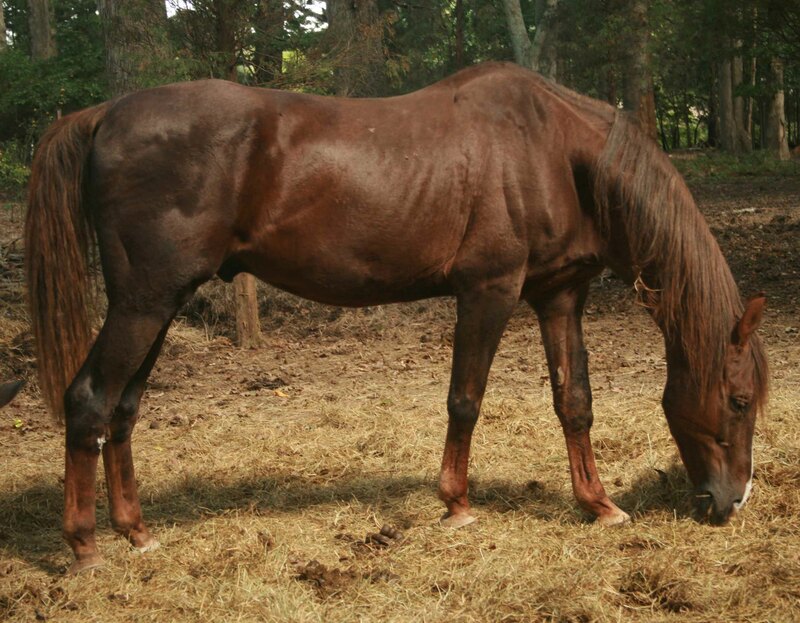 He also has an old injury over his right knee and his hooves had many cracks and abcesses. We are treating his knees and his hooves. He has gained weight since arriving at the sanctuary and has had both farrier and dental care. River was named for the strip of white that meander like a river down his face. He has a very sweet disposition and should make someone a wonderful horse when he has completed his rehabilitation.